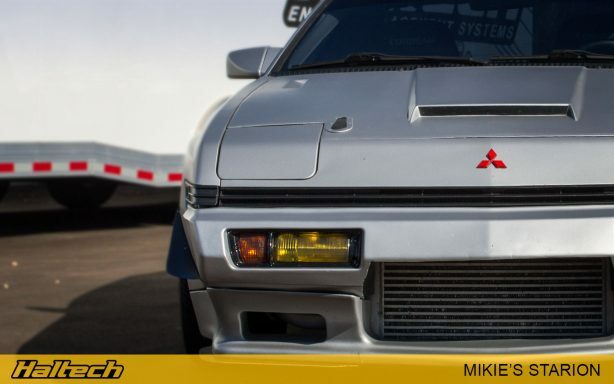 1980s might have brought us some questionable automotive styling but there’s no denying the fact that some of the world’s most iconic tuner cars were produced during that period. 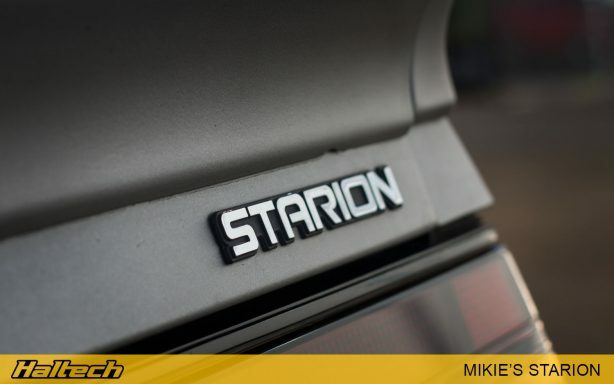 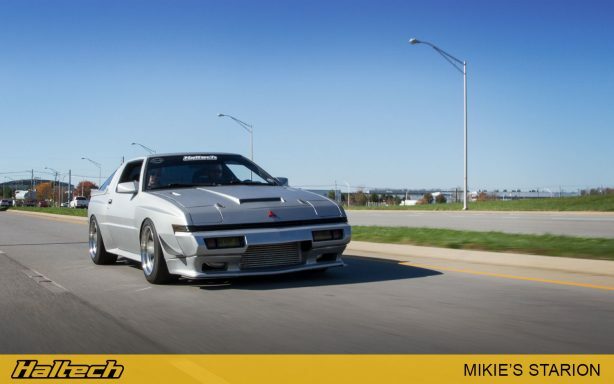 Mitsubishi’s Starion was certainly one of them. 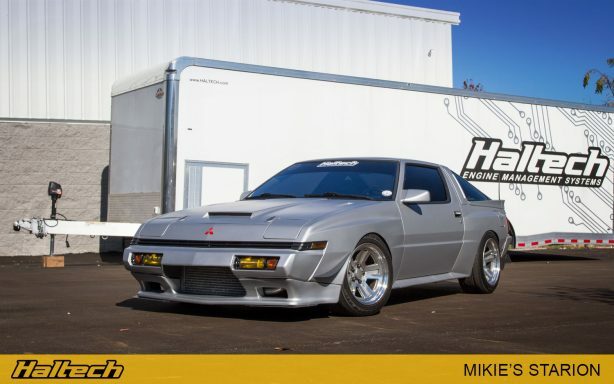 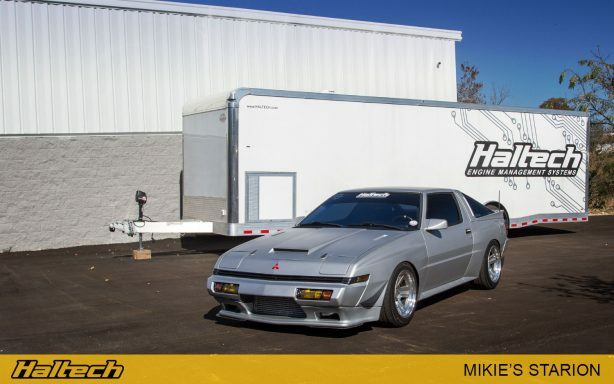 Sold in USA either with a Mitsubishi badge or as a Chrysler Conquest and sporting a 4G63 (or 4G54) engine, the car proved popular with the import fans looking for an aggressively styled, easy to modify sports coupe. 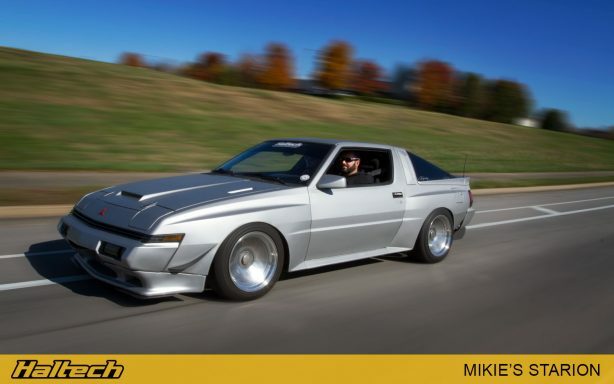 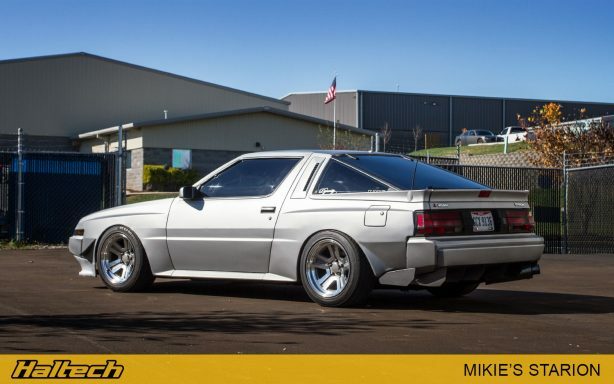 Mikie Sorrell bought his Starion back 2007 and over the next few years ran the car with a factory engine adding only a few minor bolt-on mods. In 2012, after blowing the engine and cracking the block Mikie decided it was time to upgrade. 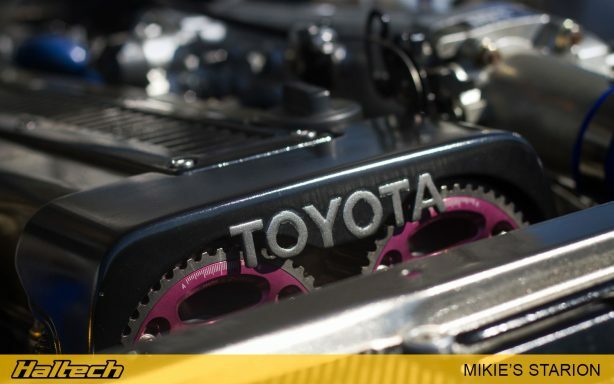 A bit of research into engine swaps led him to Toyota’s 1JZ. “Once I decided on the motor, myself and my friend Jeremiah spent every free weekend in my garage doing the engine swap and then getting it up and running” recalls Mikie. 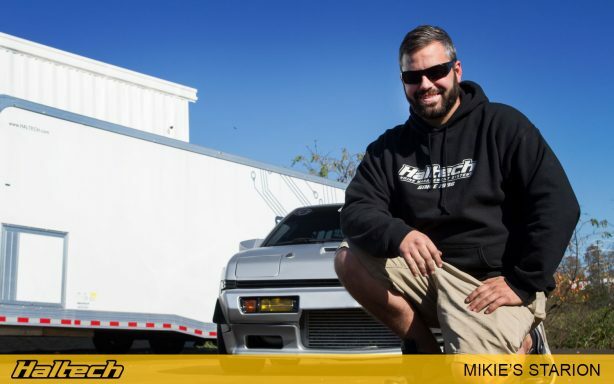 With the car running Mikie laid out his plans for the upgrades. 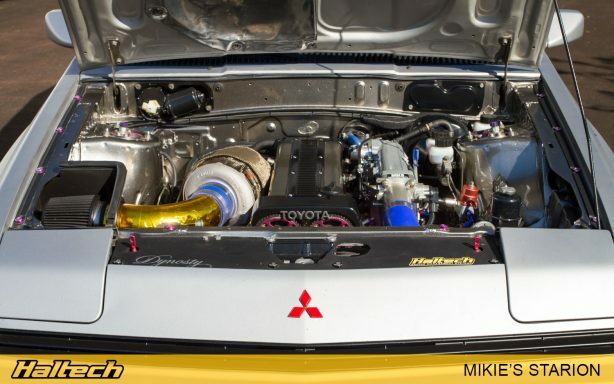 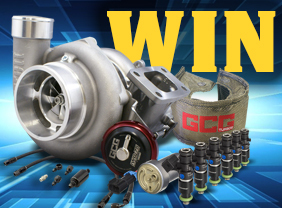 First on the list was a single turbo conversion with Borg Warner S360 taking over the boosting duties. 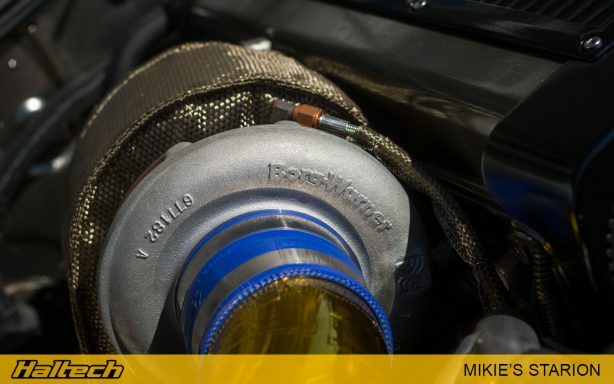 Bosch 044 fuel pump was installed to provide the fuel via a set of Bosch 1000cc injectors and an Aeromotive fuel pressure regulator. CX racing intercooler and radiator kept the heat under control. Next, an R154 transmission replaced the factory item with a Competition Clutch Stage 4 and a lightweight flywheel. The ECU was upgraded to the Haltech Elite 2500 and had the car was tuned at Dynosty in Louisville. 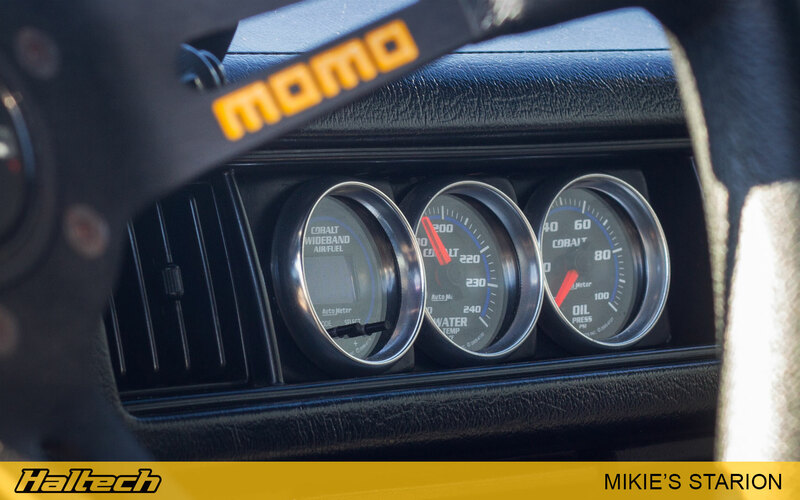 The engine then received its fair share of attention with Brian Crower 264 camshafts, springs with titanium retainers and HKS cam gears. The bodywork was left mostly stock with a slightly modified front facia and Lazorack Motorsport canards. 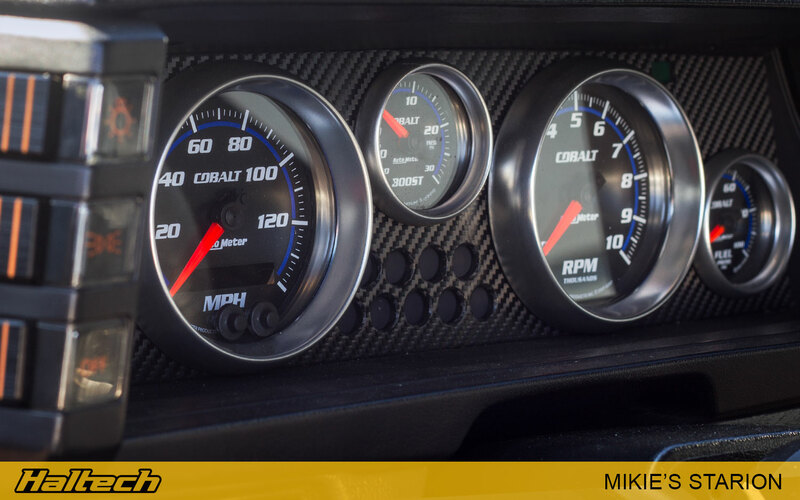 AutoMeter Cobalt gauges fit nicely in Starion’s typical 1980s angular instrument clusters. 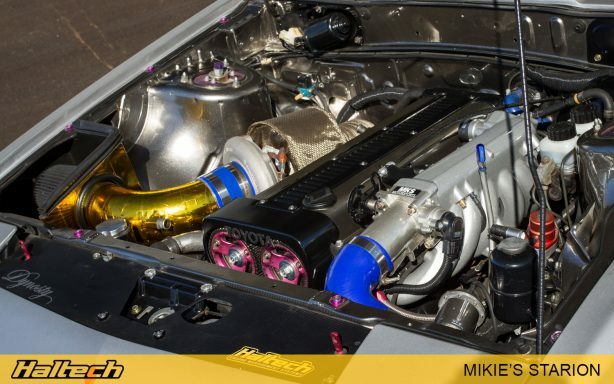 Toyota’s 1JZ-GTE fits nicely in the Starion engine bay.